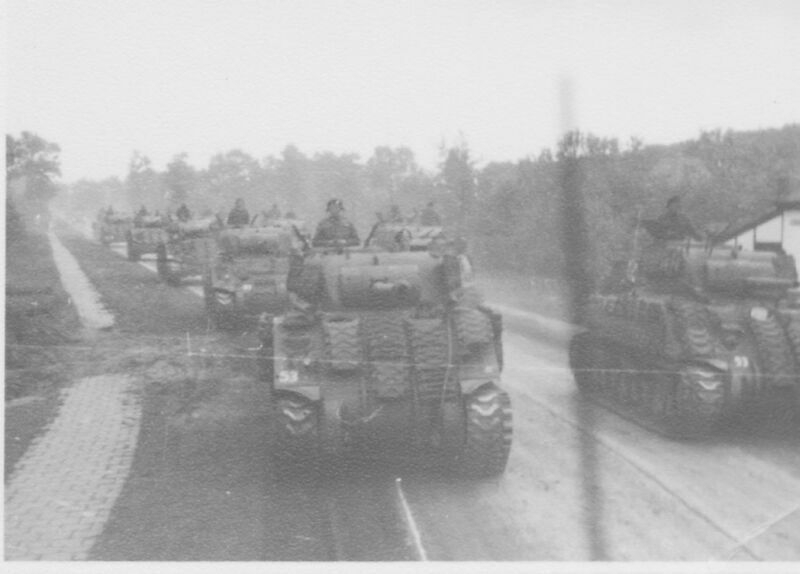 This POTD is of two Canadian Sherman tanks in the Netherlands during the final year of WWII. 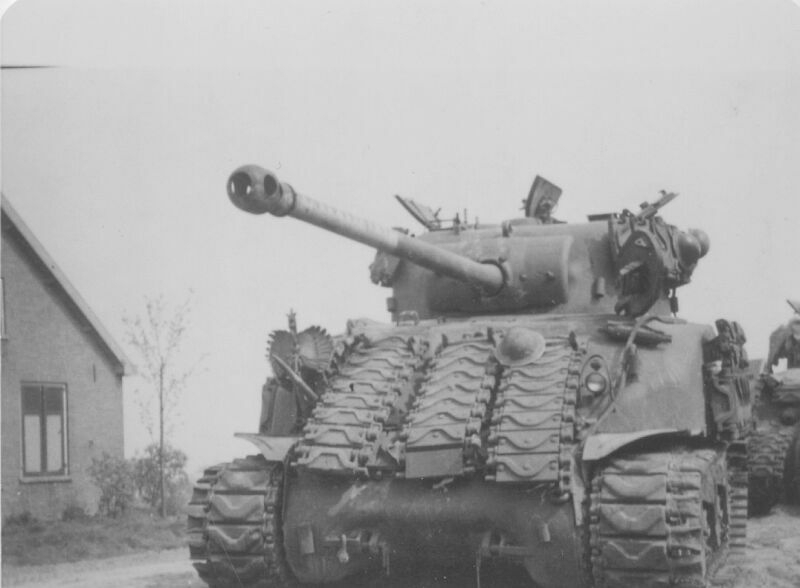 This is a somewhat unusual pairing in that one is a Firefly and the other is a 105mm howitzer equipped Sherman. 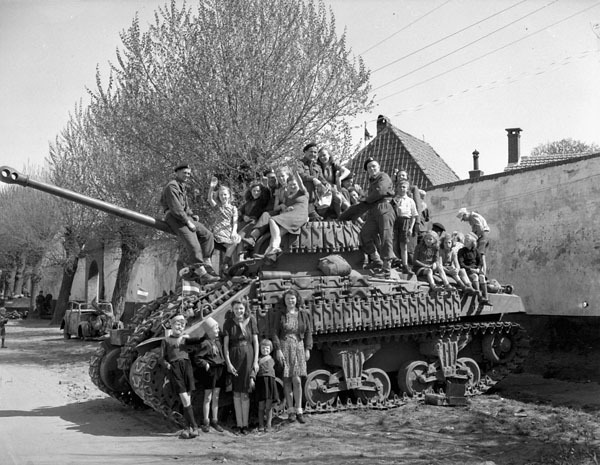 The crews of both tanks seem to have fully committed to the idea of spare tracks as effective add-on armor. The Firefly crew has gone so far as to attach what looks like track from a Panzer IV on their turret. All in all, a very cool photo. Edit: A reader named “Whelmy” has pointed out that the Canadian “dry pin” track looks very similar to German style track and could very well be the track around the Firefly turret. 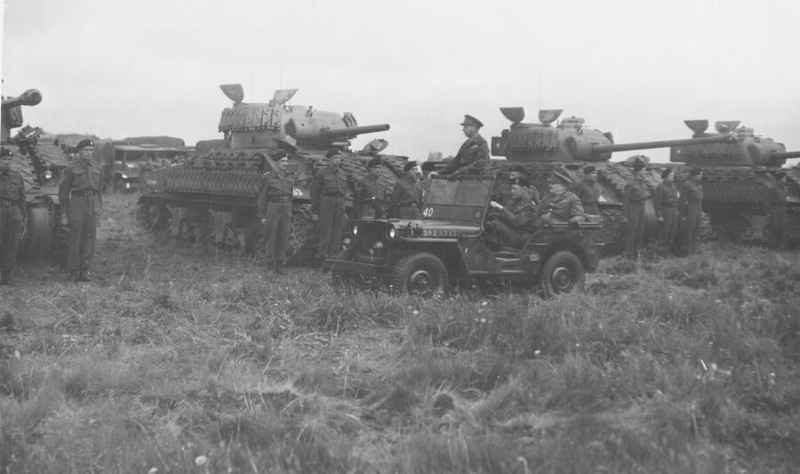 As far as we can tell, the Canadian dry pin track (CDP) was not generally used as track on Canadian Sherman tanks, but was used on Canadian vehicles based on the Grizzly (a Canadian version of the Sherman) such as the Sexton SPG. CDP was not interchangeable with American style track since it had a narrower pitch, which required a 17 teeth drive sprocket. 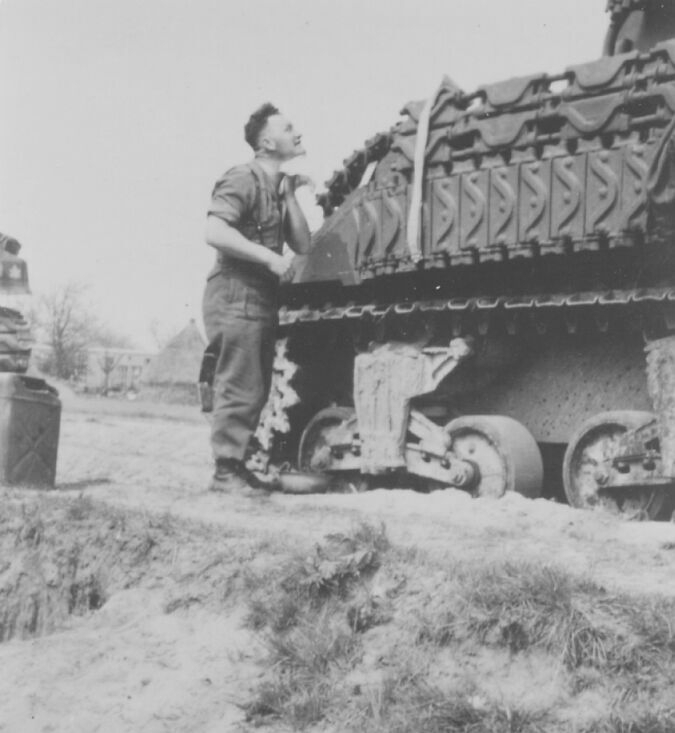 Tracks were used to try to defeat panzerfausts. The warhead would hit the track, and the gas jet would be scattered by the airgap. A field version of “spaced armour”. Sandbags and timber were also used. 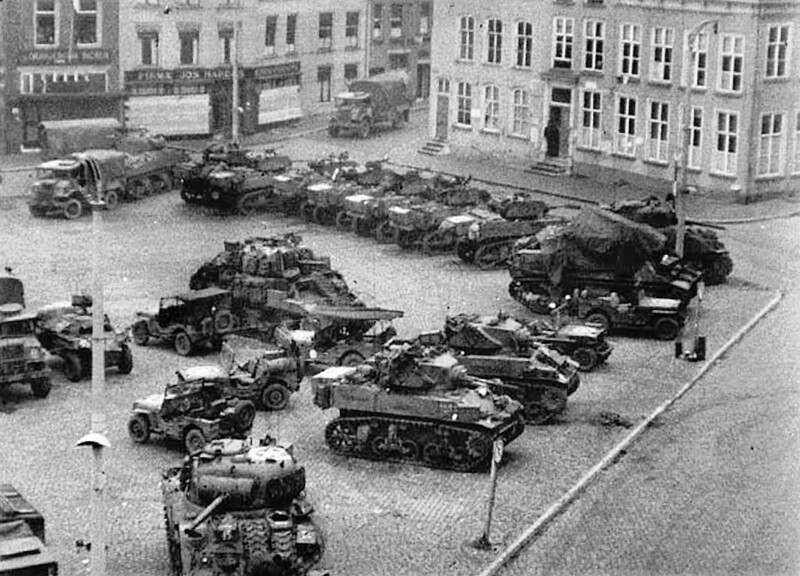 Not just panzerfausts they were added for extra protection from gun fire as well. An example, the British shot up a captured Tiger tank and tested it quite thoroughly. 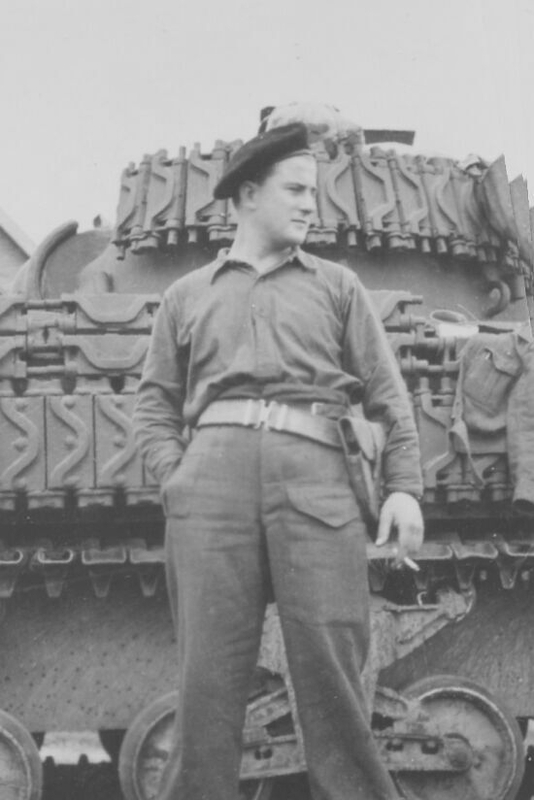 Keeping that in mind when they did firing tests on the hull they had no extra Tiger track links to stick on it, instead they used Panther tracks fitted. Striking velocity of 3530 ft/s results in a complete defeat on bare plate. With a length of panther track fitted (only track available) a strike at 3665 f/s only caused code C damage, indicating that a defeat would occur only at very short range. Striking velocity of 3365 ft/s results in complete defeat of armour. With track fitted (Panther) Negligible damage was caused to the turret side at striking velocities of 3373 ft/s, and 3670 ft/s the latter representing a fairly short range. At 30 deg a round striking at 3507 ft/s resulted in code C plate damage. 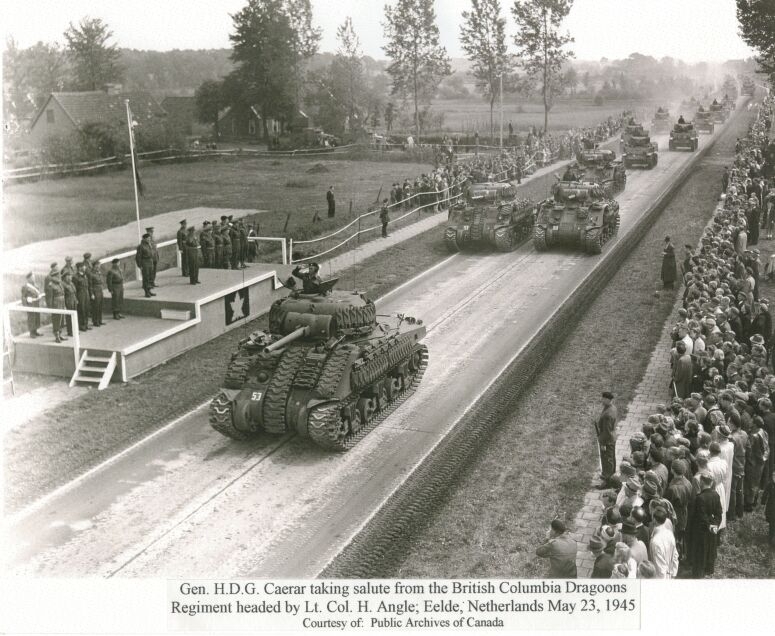 probably Canadian dry pin track on the turret, they look very similar to German types. 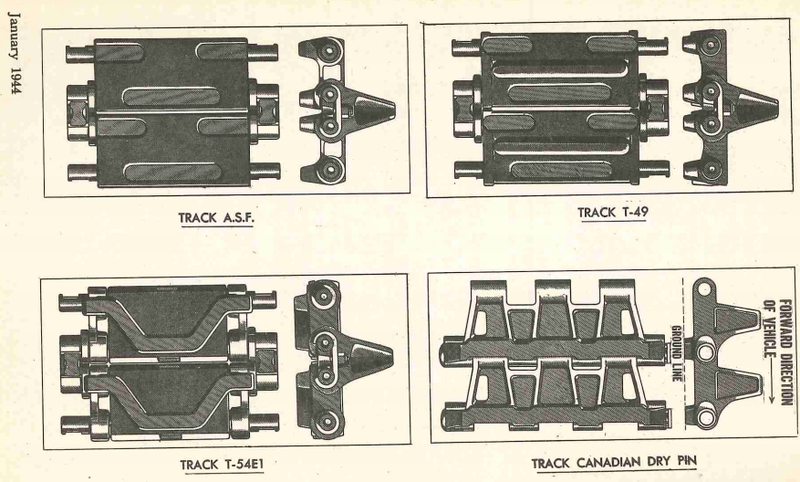 Canadians were using up to two tons of extra track added to their vehicles. 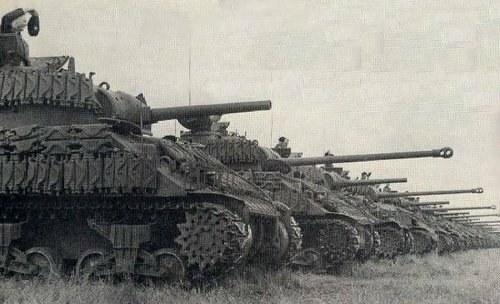 (shermans/ram) this was thought to be the limit before it would start to over-strain the vehicles. They seem to have had a set scheme if possible that most vehicles followed so very much a workshop thing and not something crews were doing on whim. I forgot about the Canadian dry track. I suspect you are right, it’s far more likely explanation.